Before the time of home-based video game consoles, there was a time of good old out-of-home entertainment at the arcade. The coin-operated gaming machines brought lots of fun to us in the '90s, but their golden age dates back to the early '80s. A simple example shows how popular arcades actually were - in 1990 “Pac-Man” alone made $3.5 billion dollars in revenue. That's a lot of coins. Even though one could hardly imagine arcades making a comeback nowadays, HTC are promising to bring VR to thousands ofarcades by the end of 2017 with their Viveport Arcade program. VR gaming centers are rapidly gaining popularity around the world and this revival initiative is meant to make it easier for people to open VR arcades as small businesses,as well as help developers, as it will expose more people to the technology - ultimately growing much bigger audiences for both developers and VR arcade business owners alike. The trend is already massive in China, but is also generating huge interest within Europe and the US. Kevin Williams, director of digital out-of-home entertainment consultancy KWP and founder of the Digital Out-of-Home Entertainment Network Association, says there are 3 types of VR arcade entertainment at the moment. First are the dedicated facilities that offer the latest in consumer VR systems. 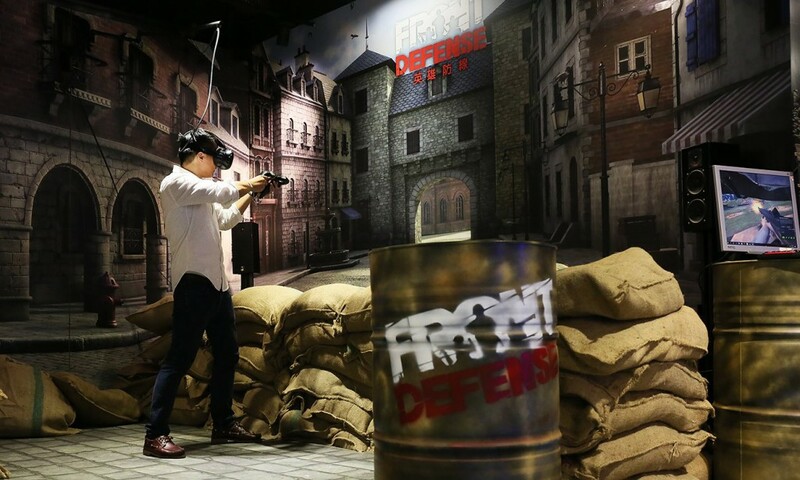 Second are VR parks in Asia running the latest VR game systems on dedicated hardware. And finally, there are the VR arena-scale facilities, which offer VR laser tag style experiences. So, would you be interested in trying this type of fun? Or maybe you've already tried it? Tell us here in the comments or at our Facebook page!